Hello Lightworkers, who understand mysteries, and what it’s like to mystify others. Some of you, my spiritual friends, tell me that you feel as if you belong to an exclusive club. The mainstream does not understand your spiritual gifts. Yet, when you meet someone who does “get” you, it is like you are family. There is a soul resonance. The Gospel of John portrays this predicament through the literary device of riddles. Some people do “get” who Jesus is, as a divine being, while the majority do not. The life of God mystifies the mainstream. From the start in the Gospel of John, chapter 1, while John the Baptist announces that the “true light” is coming into the world, there is a mystery about Jesus’s identity. Who would imagine that the “true light” could be a person? We learn later (1:45; v. 49) that this “true light” is Jesus of Nazareth. A group of disciples, like John the Baptist and Nathanael, do recognize Jesus’s identity — they are like an exclusive soul-club. John keeps going the mystery of Jesus’s identity. In chapter 2, at a wedding feast, the guests run out of wine. To everybody’s surprise, Jesus manages to perform a miracle by turning water into wine. Only Jesus’s mother (John 2:5) recognizes, in advance, that her son, Jesus, has superhuman powers. He can work “signs”, i.e. miracles. John keeps the riddle of Jesus’s identity going throughout the book—teasing us, in a sense, so that we ask of Jesus – just as Jesus’s townsfolk did – “Is this really Joseph’s son?” (John 6:42) In other words: is he really a human being? or somehow mightier than that? In spiritual life and literature, riddles bypass the mind, appealing directly to the heart or spirit, since the mind cannot figure out a riddle. John’s Gospel is full of riddles, which can pull us into the life of the Spirit, beyond logic and reason. Consider: What’s the function of riddles? Something that looks like it means one thing, only to turn and twist so that it means something else? Note: If you’d like to receive the posts weekly, go to the Word Press subscribers page, to adjust your settings. Have a lovely day! Supposedly, “all the answers” means some singular truth, which cannot be disputed. Sometimes, it is true, there are single answers. However, by and large, life is complicated and nuanced not simple – multi-colored rather than monochrome and more like a dialogue than a monologue. If the Bible is “God’s book”, is God speaking a monologue, which gives “all the answers”? or instead, a dialogue, so that we may answer back and co-create its meaning? This matter of diversity pertains to the New Testament (NT) itself since, within the NT, there are multiple accounts of the significant event, which is its theme: the life of Jesus, and his death/crucifixion and resurrection. John is one of four gospels (as literary genre), in the New Testament (Matthew, Mark, Luke, John), while the New Testament contains 27 writings as a whole. Question: in what way does God or the Spirit have “all the answers,” and how does s/he invite dialogue, or both? How does the Bible fit into this question for you? Since the Bible purports to be a book about God, what kind of God does it claim to speak about? Be Sure to subscribe, by following (click left hand side- folder icon, then “follow”) – so that you don’t miss this Bible Study. We are going to do our Bible Study about the Gospel of John. Here is some basic info, to get us started. The word “gospel” in Greek (the original language of the New Testament) means “good news,” while the literary genre of gospel combines biography (i.e., the story of a life) with a missionary tract, i.e. persuasive rhetoric, intended to inspire and convert others. The audience is meant to embrace the spiritual message of the gospel as “good news” — hence, the name of the genre. This point merits some consideration. Whether or not we agree, in the end, that the gospel is “good news”– after reading through all the Gospel accounts in the New Testament (i.e. Mark, Matthew, Luke, John)–still it is remarkable that the New Testament puts right up front its claim to be “good news”. Spirituality, as I see it, is not intended to be dour, gloomy, or guilt-inducing, nor somber, solemn, sobering. Although there are struggles, spirituality can give joy, peace and freedom -in its essence. Joy may be like a fountain (see John 4), a bubbling up of life: ebullient, effervescent, and infectious. Why else write this story, – or a spiritual tract of any kind – unless it will be “good news,” the realization of hopes, a solution, a source of celebration? Hope your day is full of joy and good news! (PS: I use the term “light workers,” loosely, to mean those who are allied in the pursuit to bring the light of truth, healing, and goodness to our world). We workers in the light listen to our own guidance, while respecting the truth in whatever package it comes. We are open to diverse belief systems, and we tend to be suspicious of externally appointed authority figures and systems of rules. These traits suggest that the notion of doing a “Bible Study” may be counter-intuitive. A “Bible Study” usually means, in our culture, a group of believers, who are dedicated to studying “God’s word,” as a set of mandatory instructions for living. How about studying the Bible, instead, with a spirit of inquiry—as we would soak up the wisdom of a respected friend? Certainly, since we respect our friend, we will not rip apart her/his words, nor will we quibble with every point. We do engage, question, and reflect upon our friend’s ideas, however, and we are free to challenge them from our own vantage point. Such will be our approach, as lightworkers, to our Bible study, which I will be sending along, day by day. Principle: Investigate. Test ideas, according to your inner knowing. HI ALL, This study of the Gospel of John will last for approximately 40 days — of posts several times per week or so. After that, I may take it all down. So Congratulations on participating in this new thing! If you prefer to receive the posts in Weekly digest form, go to the Subscription Management page on Word Press to change settings accordingly. Is Jesus Christ a person of history, whom you read about in books? Or, a figure equal to God, as the third person of the holy Trinity? How about: your own creative potential? So taught Neville Goddard. Neville Goddard (1905-1972), a new thought teacher (in his own original way), combined ideas about personal empowerment with esoteric readings of scripture. With respect to personal empowerment, he taught a manifestation technique, whereby the imagination, by means of heart-felt desire, is capable for bringing about the good that it envisions. He learned his esoteric biblical spirituality, evidently, from one Abdullah, an Ethiopian Jew, who was also the teacher of Joseph Murphy. His talk on Jesus Christ (1968), to which I link below (the written version), maintains that Jesus is wholly spiritual, considering Matthew 11:11 : “Truly I tell you, among those born of women no one has arisen greater than John the Baptist; yet the least in the kingdom of heaven is greater than he.” Since Jesus belongs to the kingdom of heaven, he is not born of woman. After all, “flesh and blood cannot inherit the kingdom of God” (1 Cor 15:50). As a totally spiritual being, Jesus is equated not with a human being so much as with God’s plan for salvation. God empties himself of his divinity, in dying on the cross. In this way, God merges with human beings, in order to become the very breath of life within each of us. 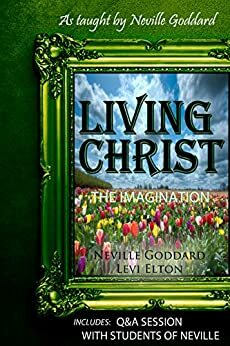 Through the plan of salvation, according to Neville, God expands his creative power, unfolding himself within the individual. Human beings should worship not Jesus the man but rather the Truth, which we may cultivate by recognizing the Christ, as our own unlimited potential. 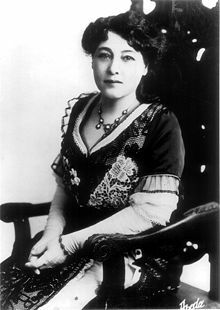 Alice Guy, the first female film director, produced a film (silent) on the life of Jesus. Consisting of 25 painted tableaux (typical of passion plays), together with location scenes (which take place outdoors), La Vie du Jesus (1906) is distinctive for its portraits of women. Guy highlights Mary Magdalene’s primary role as the first witness of the risen Christ (Matt 28:7; John 20:11-18). Whether or not her themes count as “feminist,” Guy seems to go out of her way to include women in every scene–for instance, instead of Simon of Cyrene, as the one who carries the cross of Jesus (Luke 23:26), six women do. Eight women find the empty tomb (Luke 24:1-5), while many women are present at the foot of the cross. Here’s the film (which runs 33 minutes). edited by Rhonda Burnette-Bletsch, See contribution by Carol A. Hebron, re: Alice Guy and La Vie de Christ, ch. 32, pp. 545-547.